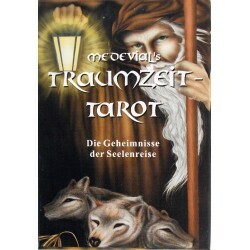 I Tarocchi nei Colori della Toscana - Tarot Bulgaria ltd. 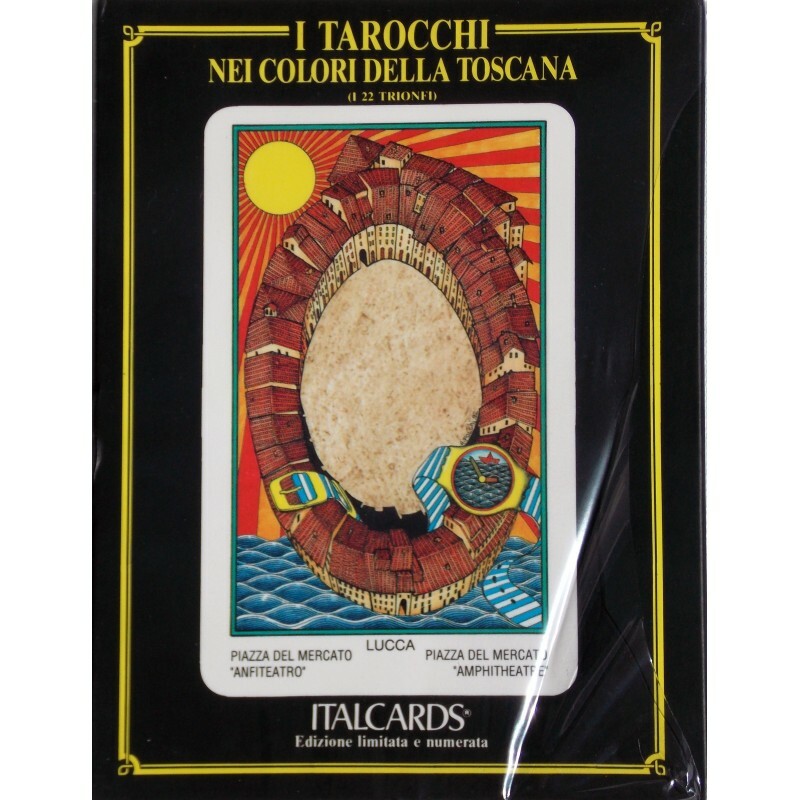 The Tarot in the colours of Tuscany by Amerigo Folchi limited edition. 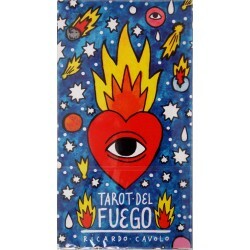 Magnificent Major Arcana(22 cards) series designed by Amerigo Folchi. 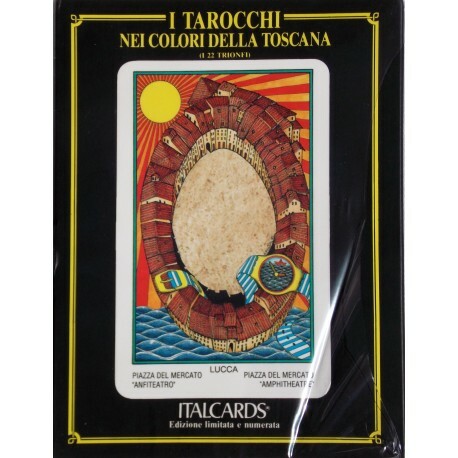 Each Card illustrates an important and well-known monument of a city of Tuscany. 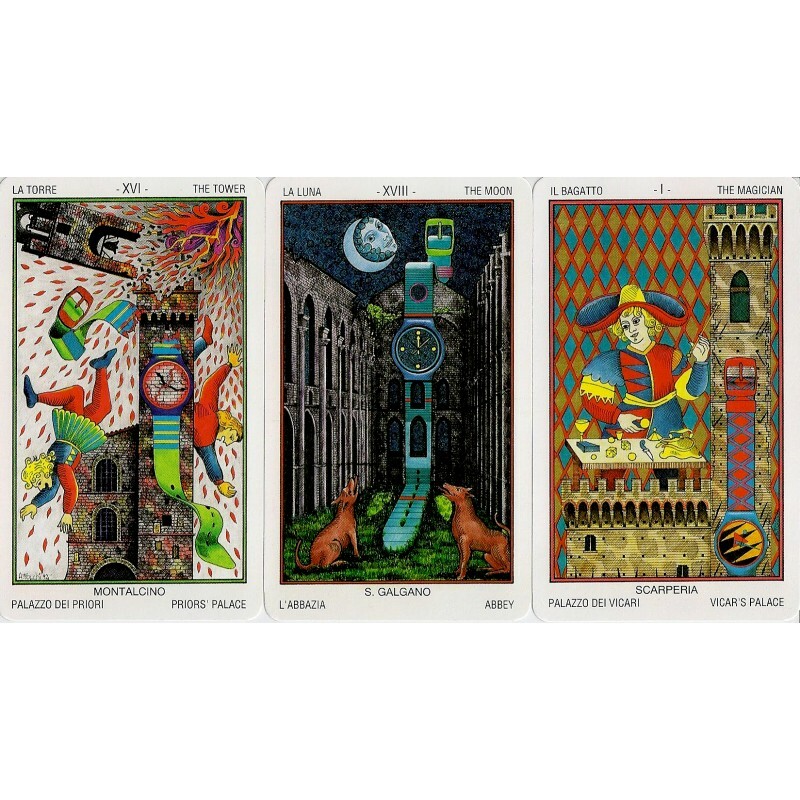 In every card appears a big Swatch watch. 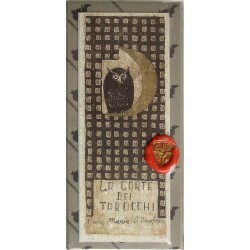 The titles are in English and Italian. 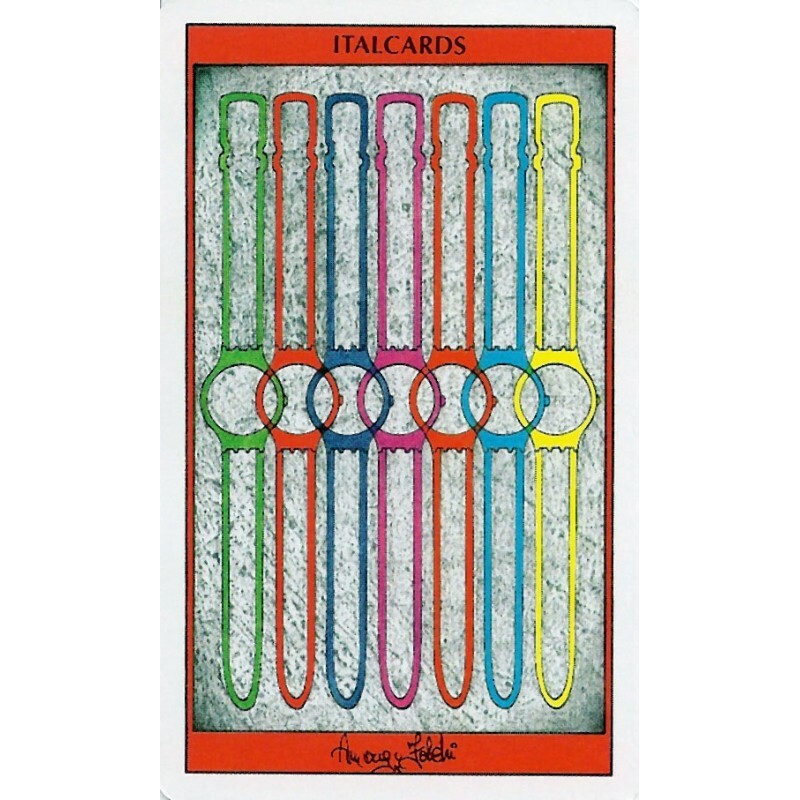 The deck was printed by Italcards, Bologna 1992 in numbered edition, limited to 3333 copies.